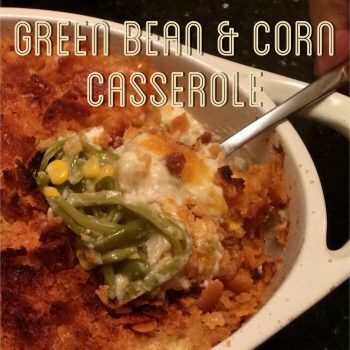 this is just a quick post that goes with another recipe i’m posting in a minute. we used this simple balsamic reduction in our asparagus-gruyere tart, but can be used so many different ways. this easy treat can be paired with meats, fruits, vegetables, or drizzled on salads to take them from ordinary to extraordinary. that’s a bay leaf in there. yeah i didn’t know what that was either. its used in some great soups and reductions. check it out! 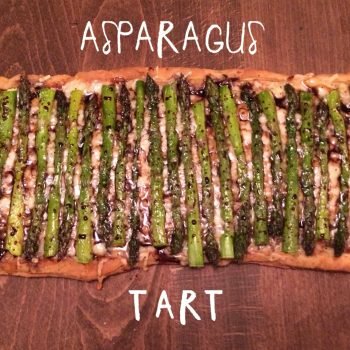 i’ll be posting our AWESOME asparagus tart in just a minute…and this little recipe plays an integral part in its deliciousness. i hope you give it a try! 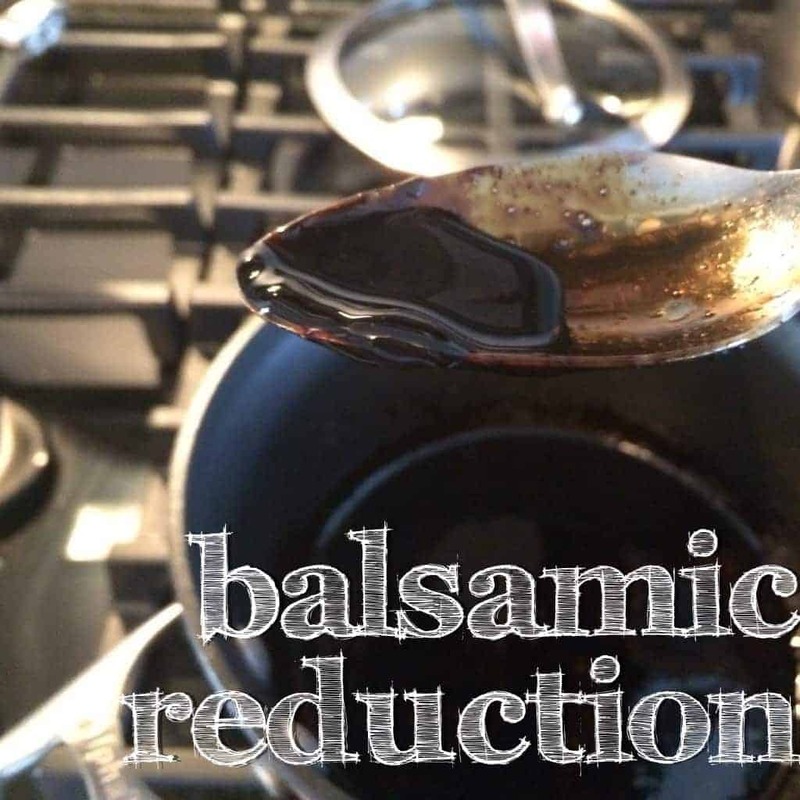 How to make an easy and simple balsamic vinegar reduction. 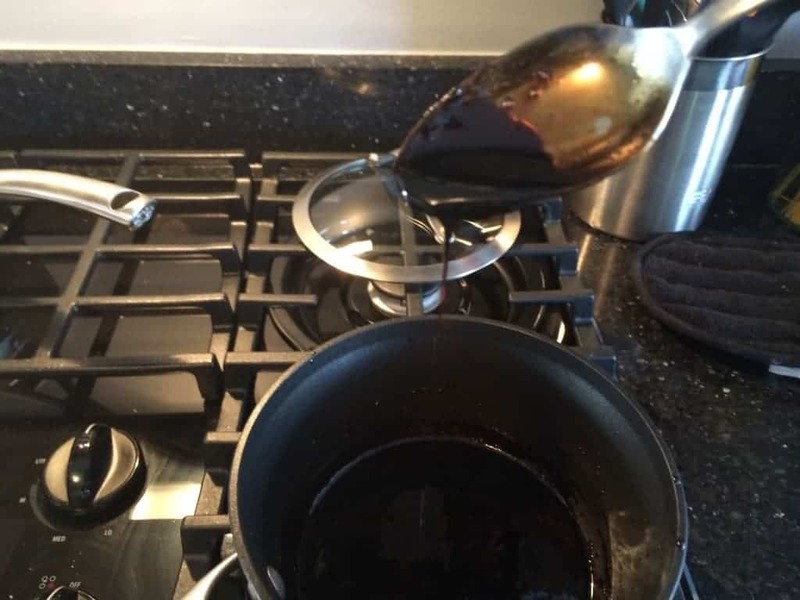 Pour the vinegar into a medium sized saucepan. Add the honey and stir until honey dissolves. Bring to a boil over medium heat, then reduce and simmer until it starts to get syrupy. Watch closely so it doesn't burn. 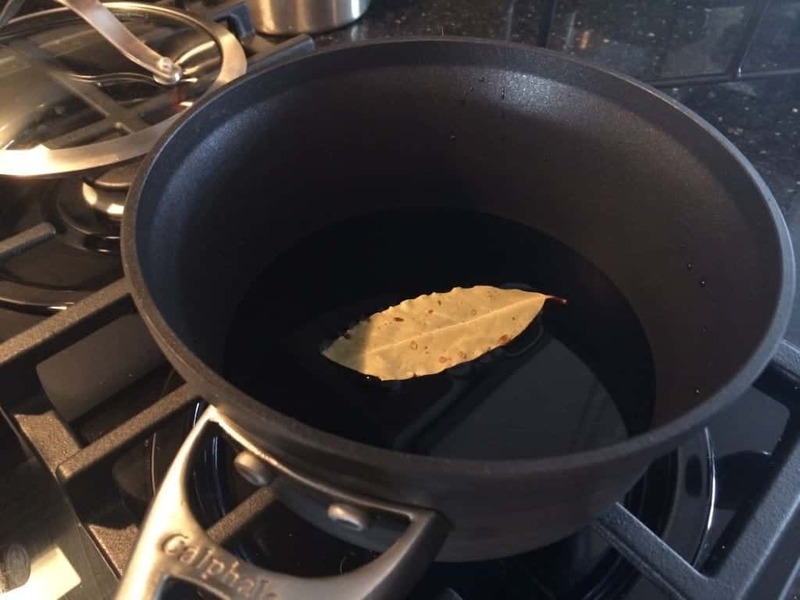 Remove the bay leaf and put through a sieve if other herbs have been added. When time to use, warm slightly so the reduction will pour easily. Store in an airtight container/jar in fridge indefinitely. 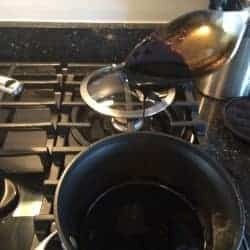 If the syrup has become too think, add a few drops of water and microwave until pourable. This is so good and has innumerable uses: meat sauce, drizzle over vegetables, bruschetta, glaze for roasts or chicken, dessert glaze, drizzled over salads. It is delicious and even better than straight Balsamic Vinegar. Tried to make this once with alittle sugar in it. I wound up with a hard taffy that tasted like horehound drops! Mine is not getting syrupy… what am I doing wrong??? Most likely not adding enough sugar or not allowing it to simmer long enough on the stove. The longer it simmers, the thicker the syrup will become. Hope that helps!